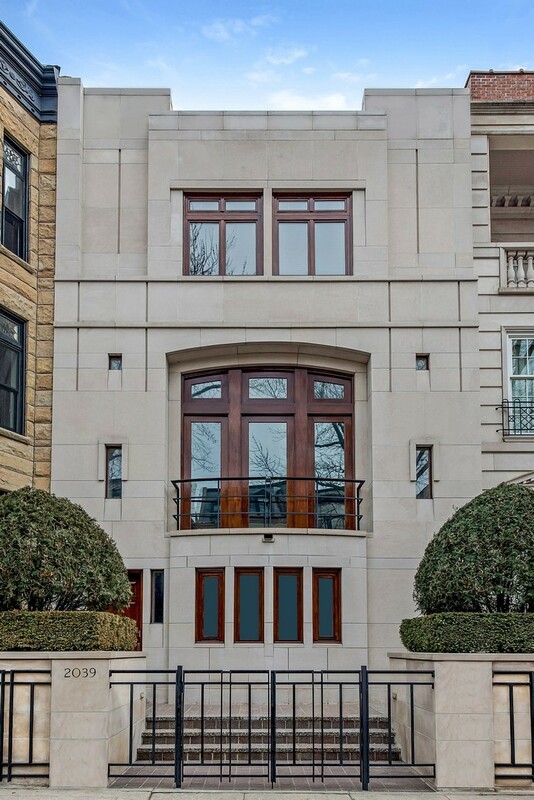 Stunning East Lincoln Park residence perfectly situated on prestigious, quiet, one way, tree-lined street, just steps from Oz Park, Lincoln Park, Lake Michigan and all that city living has to offer. Lincoln Park is a true "village within the city". The stately limestone exterior is in keeping with the many multi-million dollar surrounding homes. This residence was designed and built for family living! There are oak floors in most rooms, very tall ceilings and a wood burning fireplace. The top floor Penthouse Room leads to a Roof Deck with unobstructed skyline views that are simply sensational! Lovely Master Suite and three additional Bedrooms, a handsome Library and a Recreation Room, perfect for a Gym or In-home Theater. The Chef's Kitchen is designed for the way we live today with an Eat-in Casual Dining Area plus a huge center island with breakfast seating, all open to the Family Room. Lincoln Elementary School District. This is not just a residence, but a true lifestyle!